Alanna Styer named her senior project "Where It Happened." The name — like the photographs in the show — doesn't editorialize. 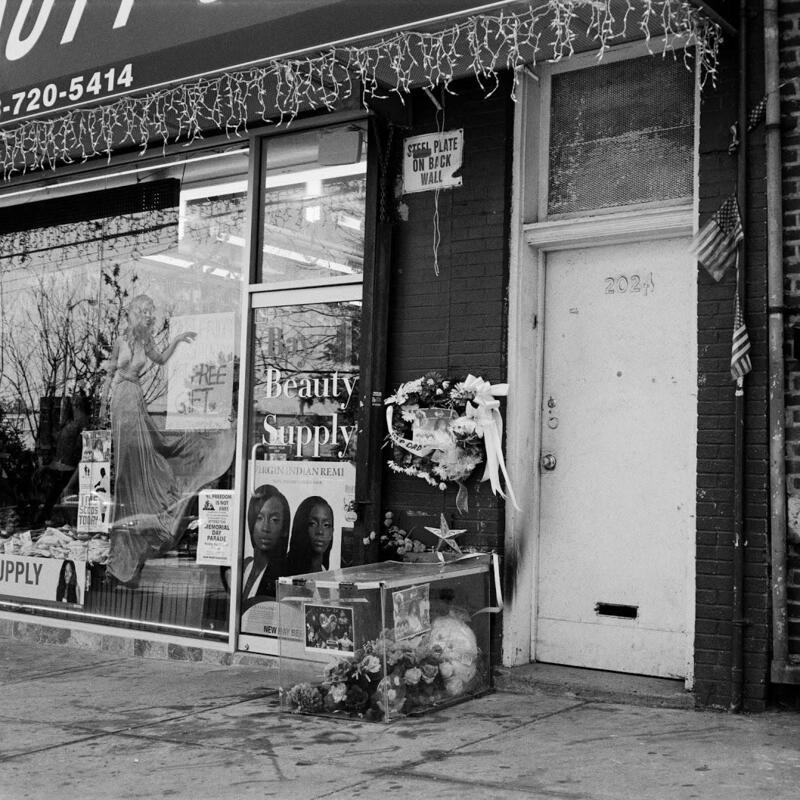 The black and white photos simply show us the places where people were killed. Listen to the radio version. For over a year, a Nashville artist went on an unusual pilgrimage: She travelled around the country, to sites in 15 cities and towns where people of color were killed in encounters with police. Styer drove almost everywhere she went, flying only to New York and Los Angeles. The captions for Styer's photos tell us only the name of the person killed, the location and the date. 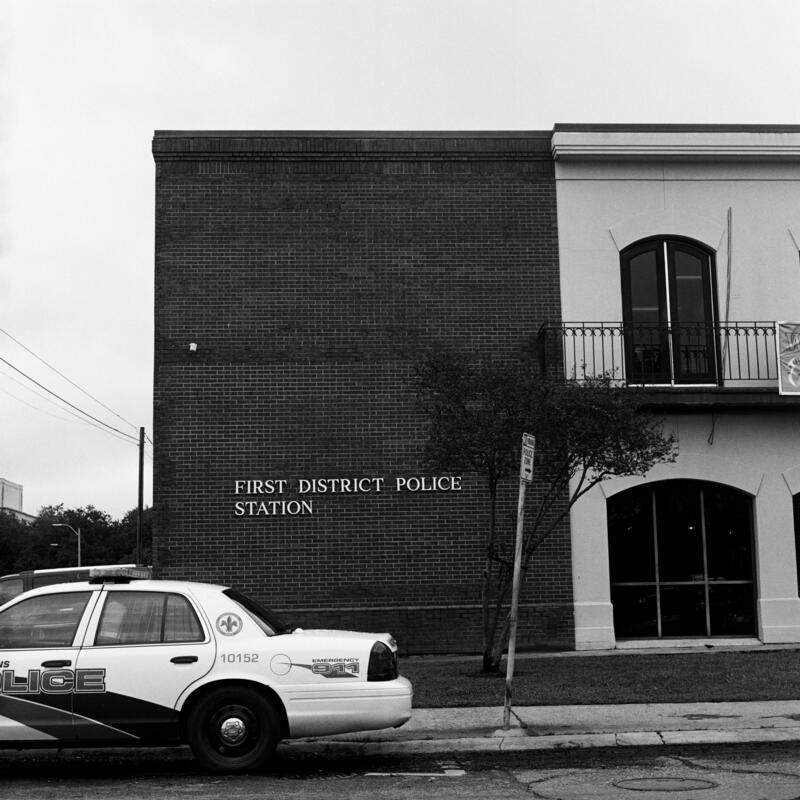 In this case: Adolph Archie, 501 N Rampart St., New Orleans, LA 70112, March 22, 1990. 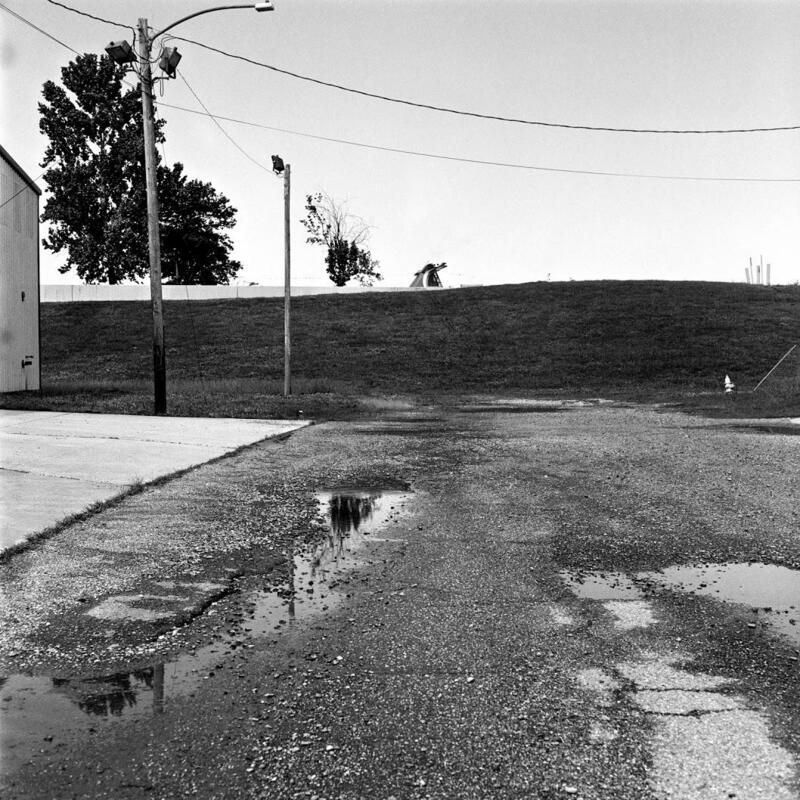 The photos, in black and white, show quiet scenes that are tragically unremarkable: the shadow of a tree stretching all the way down a Chicago city block, a trimmed lawn with manicured hedges in Detroit, a bridge in New Orleans that’s bathed in sunlight. Styer is not one to shy away from challenging subjects. She’s a young Hispanic woman from St. Louis. Her hair is long on top and shaved on the sides, and she has a tattoo of a raised fist in a wreath of flowers on her bicep. While in college, Styer volunteered with two Watkins professors to teach art classes to men on death row at Riverbend Maximum Security Institution. At a train station in Oakland, California, Oscar Grant was killed by "BART" police on New Years Day, 2009. 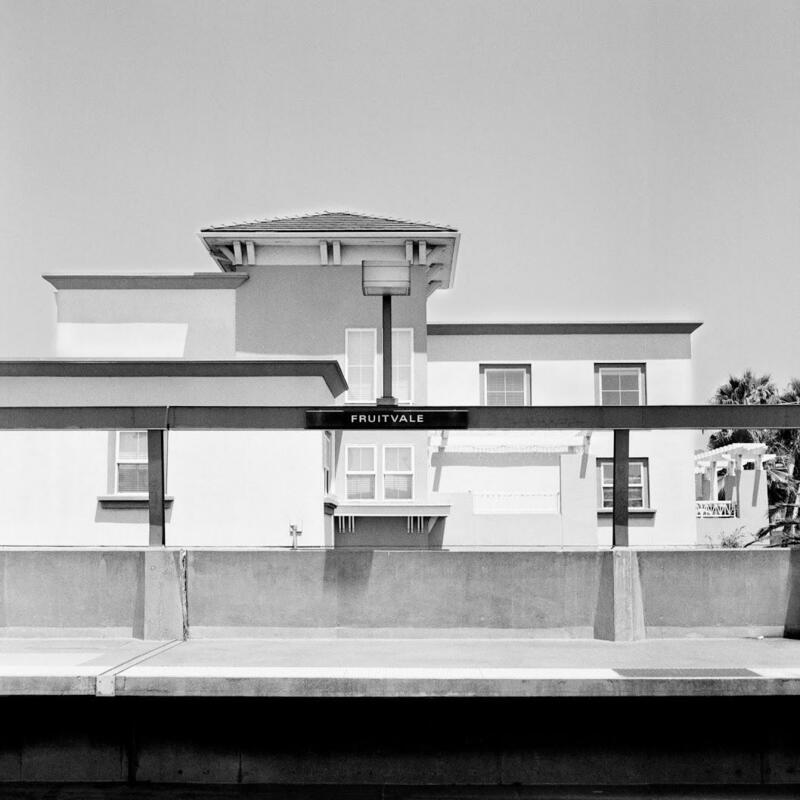 Styers's caption reads "Name: Oscar Grant, Location: Fruitvale Station BART, 3401 E 12th St. Oakland, CA 94601, Date: January 1, 2009, Time: 2:15am"
This was around the time that Eric Garner was killed, then Michael Brown, then Tamir Rice. She began thinking more about the relationship between police and people of color. Some of the people Styer investigated were armed. Others were running away. In many cases, the facts aren’t clear. To Styer, we often get caught up in the details of these scuffles and lose sight of the human life that is lost. Eric Garner was killed at this site in Staten Island, New York in 2014. As we drove, I thought, “How fair is it, really, to group so many separate incidents into one category?” Styer says that the project is not about casting judgment on individual police officers; it’s about bringing to light the scope of officer-involved deaths. Some of her photos date back decades, like that of Jimmie Lee Jackson, a civil rights activist who was shot by police during a voting rights demonstration in 1965. In a few of the places Styer photographed, shootings garnered national media attention. But most of the victims were not known outside of the communities where they lived. Since there aren’t national or state-wide databases for people killed in such encounters, Styer uses crowd sourced databases like “The Counted,” which is run by the Guardian. She also gets tips from civil rights attorneys around the country. From there, she cross-references accounts with news stories and court documents to get as close to what happened as possible. What’s so striking about Styer and her work is that even though she herself ties these deaths to racial discrimination, her photographs are neutral. They are accompanied only by the address, date, and time of the incident, and the name of the victim. No details about who the person was, how he or she died, or the officer involved. Just a stretch of white sky over a hospital emergency room, a sun-filled parking lot, a shaded park pavilion. 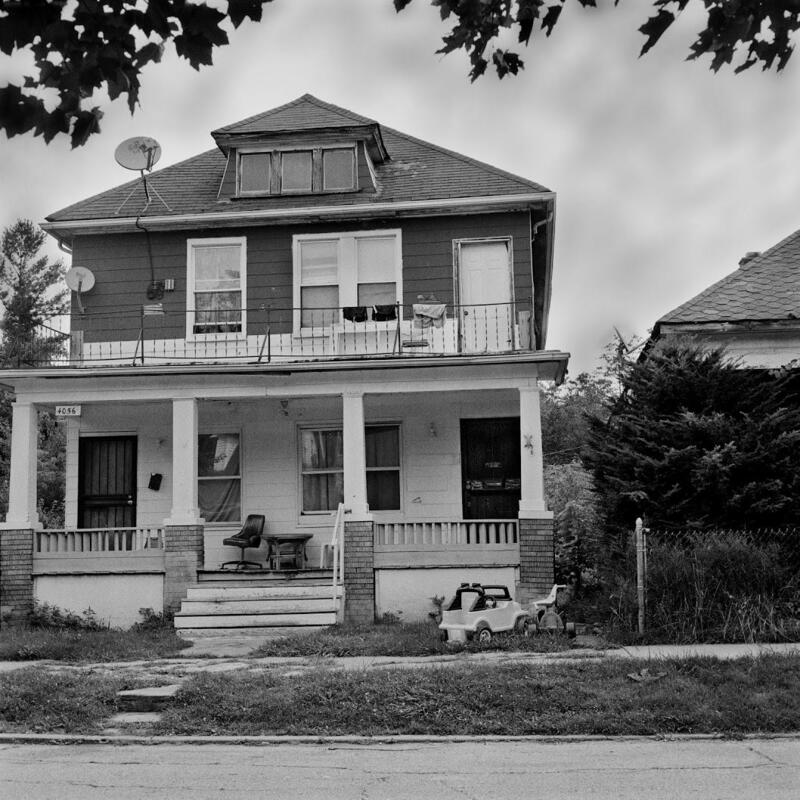 A house in Detroit, Michigan where Aiyana Jones was killed in 2010. “I think that was one of the very important factors going into this project … not letting my voice impact it because these aren’t my stories. These are someone else’s stories,” Styer says. We reach a red brick house with a shoveled walkway on a tree-lined street. This is the site of the Nashville shooting, the only one Styer has visited despite the city being her home. We trudge around the block to the alley, and we see it. A simple red deck overlooking a yard with a fat-bottomed snowman, complete with a carrot nose. Styer takes just a couple shots with her Mamiya twin-lens camera before she’s satisfied. We turn and walk down the alley, away from the red deck and the man who died. The film in her camera holds another piece of the story she wants to tell. Note: Styer's photographs are not currently on display in the Nashville area, but she has posted the series on her website.